Once again, Apple's revolutionary idea puts fresh polish on a preexisting product. I have to admit: Even as a diehard Windows guy, that adaptive Touch Bar on Apple’s new MacBook Pro looks pretty damned cool. Apple essentially ditched the top row of function keys on the MacBook Pro’s keyboard and replaced it with a thin “Retina” OLED strip that contextually alters what digital buttons and images it shows depending on the open program and the task at hand. Nifty! But as a diehard Windows guy, I also immediately understood that the Touch Bar isn’t the revolutionary new invention that Apple’s chiefs or the Twitterati masses pitched it as. 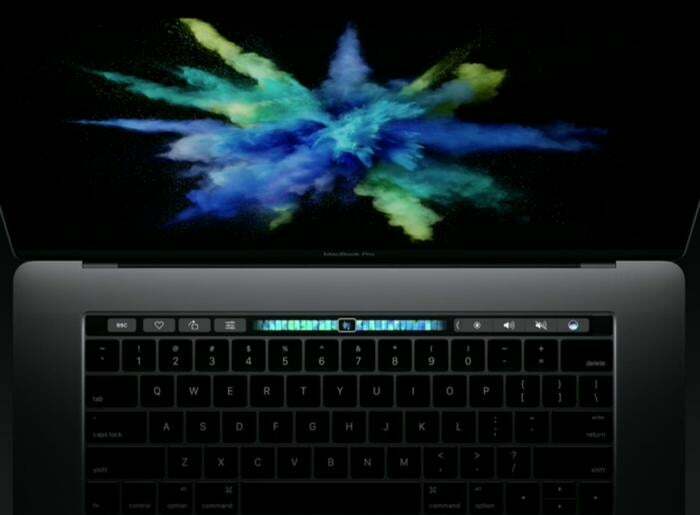 Instead, the MacBook Pro Touch Bar continues Apple’s trend of taking an existing idea and refining it into something palatable for mass consumption. (Assuming people enjoy the Touch Bar, of course.) Razer’s laptops have offered something similar for years, and you could argue that the old, mostly ignored Windows Sideshow technology was another Touch Bar forebear. Razer’s attempt was a bit more high-profile, however. The company’s radical Switchblade interface debuted in the original Razer Blade laptop in 2012. The Switchblade UI sat to the right of the notebook’s keyboard, represented as 10 “dynamic display” LCD keys above a touchpad that itself doubled as a 4.3-inch display. 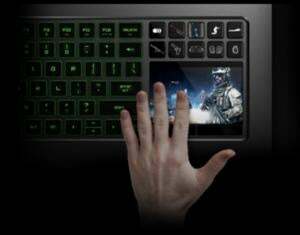 Various apps and services compatible with Switchblade could configure the dynamic keys to show whatever the heart desired, and the touchpad itself could be used to watch videos, browse the web, sling social posts, activate gameplay recording—all sorts of things! Some games offered unique Switchblade profiles tied to their specific features, too. 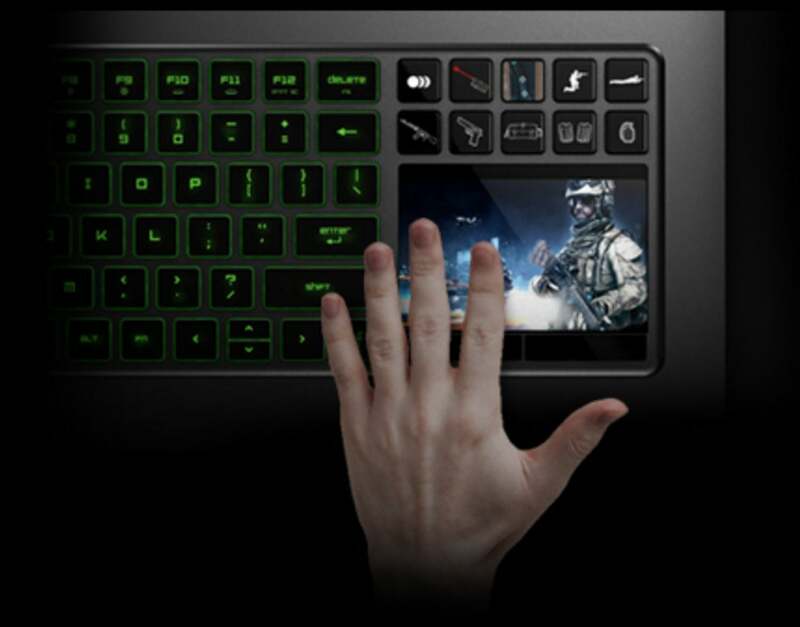 Razer stuffed Switchblade into the Razer Pro laptop lineup for several years, and expanded it to the Razer DeathStalker Ultimate keyboard before finally pulling the plug on the concept in the 2016 Razer Blade Pro revealed just a week or so again. Poor timing, folks. The disappearance of Switchblade wasn’t exactly a surprise (though it could still reappear at some point in the future). It was a novel concept marred by a reliance on Razer’s somewhat frustrating Synapse software and fairly limited software support, and frankly, the Switchblade UI could be unintuitive and often felt superfluous. That’s not to say the MacBook Pro’s Touch Bar will suffer the same fate. Apple’s take on adaptive touchscreen display looks much more polished out of the gate, with hooks directly into core MacOS apps. Third-party software is sure to support the MacBook in volumes that the niche Blade laptops could only dream of. But this article isn’t intended to bash the Touch Bar, or Razer’s Switchblade. It’s to shine a light on the roots of this idea. Hopefully that legendary Apple polish and spotlight gives a idea with a lot of potential every opportunity to thrive.